Our associates have published extensively in several of our areas of interest. An indicative list of publications is demonstrated below. • Public works. 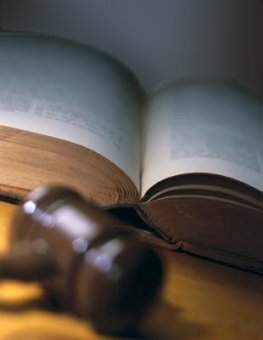 Legislation, Case – law. Ant. Sakkoulas Publications, Athens 2012. • Public Works at the judgement of the Courts – second volume of Case-law, Ant. Sakkoulas Publications, Athens 2010. Public Works at the judgement of the Courts – first volume of Case-law , Ant. Sakkoulas Publications, Athens 2003. Legislation concerning public designs and architectural tenders, Ant. Sakkoulas Publications, Athens 1999. Legislation concerning public works I-IV, Ant. Sakkoulas Publications, Athens 1987, 1995, 1998, 2001. Legislation concerning public works V , Ant. Sakkoulas Publications, Athens 2006. Public Works : The new Law 3263/2004 – Special Edition , Ant. Sakkoulas Publications, Athens 2004. Legislation concerning public works I-IV , Ant. Sakkoulas Publications, Athens 1987, 1995, 1998, 2001. PPP contracts: the new law 3389/2005 , Ant. Sakkoulas Publications, Athens 2005. Public Works : The new Law 3263/2004 – Special Edition, Ant. Sakkoulas Publications, Athens 2004. Copyright © 2019 Christos Rovlias Law Office . All Rights Reserved.